My Cookbook is available where books are sold!! Buy Your Copy (and one for your friends and family) Today! And other fine brick and mortar and online stores worldwide! – Rikki Rockett, Poison Drummer and Celebrity spokesperson for L.C.A. 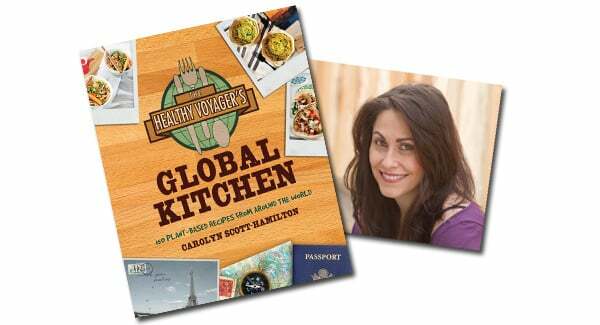 “The Healthy Voyager’s Global Kitchen is an incredible resource for the road warrior who loves to eat healthy while exploring the flavors of the world. You don’t even have to leave your house to get a taste of healthy, delicious ethnic cuisines – just try some of these mouth watering recipes and you’ll be transported! The recipes are divine, and they even offer suggestions for gluten-free, soy-free, and other special dietary concerns. “In Global Kitchen, Carolyn Scott-Hamilton takes us on a once-in-a-lifetime culinary journey around the world. and France (croissants! ), Carolyn’s passion for great food and travel will make you want to catch the next flight to Bangkok.